Product #20854 | SKU 103010165C | 0.0 (no ratings yet) Thanks for your rating! 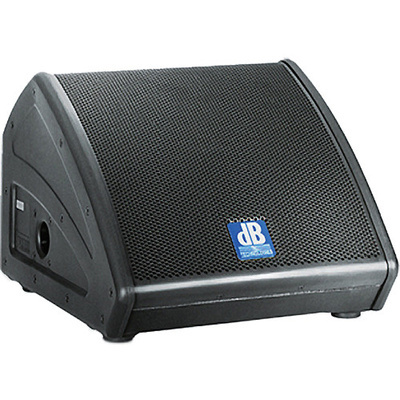 The FLEXSYS FM10 10" 400W Active Coaxial Stage Monitor Wedge from dB Technologies renders vocals with enough power, dynamics, and precision that it can serve as a compact full-range system. This, and its extended bass response make it ideal for monitoring vocals and keyboards. It also features DSP that offers a crossover, digital multi-band limiters, phase correction, and eight variable presets that serve to adapt the monitor to the varying demands of vocalists, instrumentalists, and audio playback applications.